There are lots of places where you can start the Way of St. James. Here we show you the most usual towns/cities to begin the Way and also we mention some others which could be interesting. First thing you need to know is that, to obtain the “Compostela” in Santiago, it will be compulsory to have walked a minimum of 100 km by foot or 200 km by bike. There are many places where you could start The Way of St. James. Here we will show you some of the most common places to begin your route. 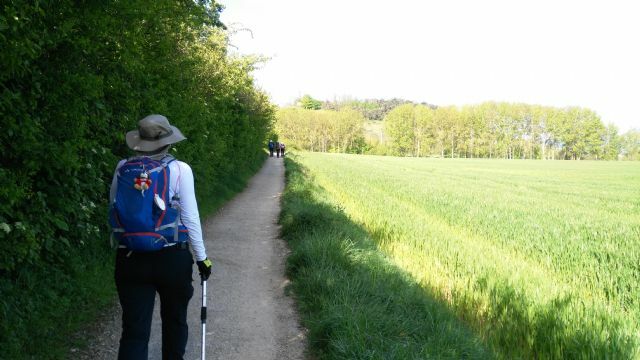 The Way of St. James to Santiago de Compostela can start from your own house. Obviously, if you live in Santiago, you will have to go back a few km to do it. From any other place you might live, you could leave your house and just start walking towards Santiago. 1. From Saint Jean Pied de Port. Saint Jean Pied de Port is a town where lots of pilgrims start The Way. They do it because it is a French town just before arriving at Spain, and that way they make sure they walk through the whole country. The beginning is a bit rough, since the first stage involves crossing the Pyrenees. The geographic situation of Roncesvalles makes it a strategic point which is a fabulous place to start the French Way. You can also take a taxi from Pamplona (50-70€, depending on where you take it and if it is a festivity day or not). O Cebreiro is the first Galician town in the French Way, about 158 km from Santiago de Compostela; it is located in the N-VI. You can get to Pedrafita do Cebreiro by bus from Ponferrada (Monday – Saturday). More info in www.gonzalezdelariva.es. There are also buses from Lugo (Monday – Friday). More info in www.alsa.es and www.monbus.es. From Pedrafita to O Cebreiro (4.5 km) you can take a taxi or go by foot. Sarria is about 113 km from Santiago de Compostela, which is the minimal distance you will have to walk to obtain the “Compostela”. There are 4 or 5 stages in this stretch of the Way from this point, being the place where most pilgrims begin the route. - From Baamonde (3 Stages).